Learned a new tip about pumpkin. Didn’t know it aided in digestion. Another great share, Paul! Happy Thanksgiving! Susan, very lovely Thanksgiving wishes returned from Jean and me! I hope you two had a terrific holiday! Great minds think alike! Happy Thanksgiving! Wonderful!! May I share this with my instagram account? Of course, and in future you don’t need to ask! Thank you! Lots of excellent tips here Paul a great Guest post from Mary, and now my mouth is watering.. Yes, it was a good post from Mary. Anyway, trust your Thanksgiving day is going well and’ likewise, wishing you all a very Happy Holiday! I should have known that!! Many thanks, Christine. The same to you and all your family. Give them lots of cuddles from those folk over at Oregon, and give yourself one or two! I started following you in WordPress and got the link to this wonderful article, thanks for sharing and Happy Thanks Giving. Debojit, how lovely to meet you in this place. Welcome! Hope to see you again. Thanks for your reply. I love your posts. 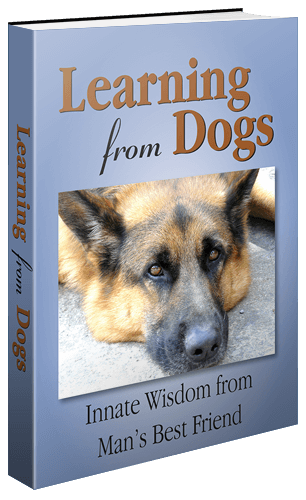 Love the whole idea of “Learning from Dogs” – I will definitely keep in touch. You know something, my German Shepherd ‘Steffi” looked so much like the picture in your profile – yeah it was many years ago, she is gone now. Have a awesome day!! German Shepherds are such incredible dogs. Bet you still miss your Steffi! Do you have a photo of her? If you do, do share that for this is the place where you will find wall-to-wall dog lovers! And, yes, so much we can learn from our dogs. Starting off with dogs being creatures of integrity. A rather novel idea in some walks of life, don’t you say! Thanks Paul, well they are so understanding and kind for sure. I was in India that time, and a student. So she passed away the day I came back home for holidays. My Mom and Dad said, she was waiting for me maybe to say good-bye. My Mom lives in US now, I will ask her if she has a photo, I will surely post it, take care. Yes, one hears so many stories in a similar vein, about dogs waiting to say goodbye to a loved human. Sounds as though you are living happily in the USA now; as we are down here in Oregon. It would be good to see a photo of Steffi. Hope your Thanksgiving was pawsome and safe. Welcome! Hope you ate well! !